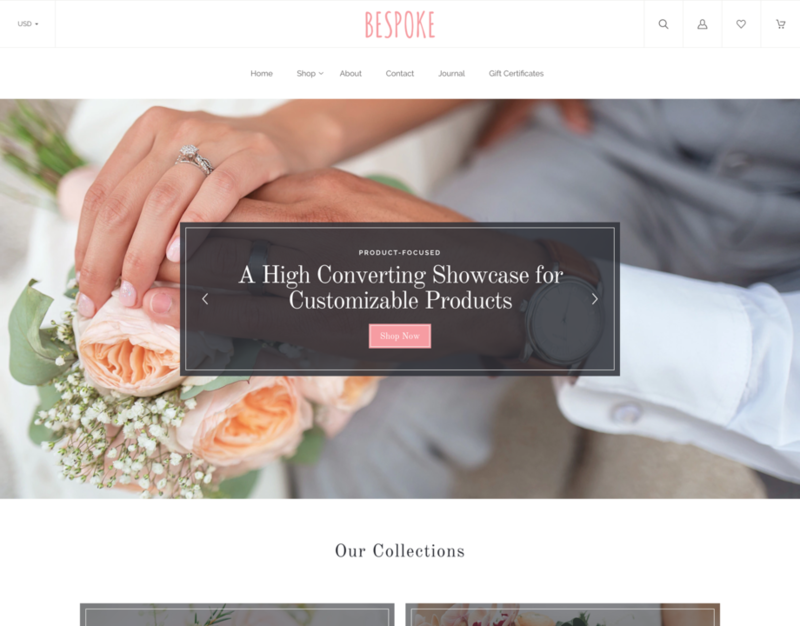 Bespoke is a fresh and versatile theme optimized for stores with customizable products. 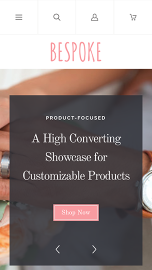 Its clean design and stylish homepage layout create a striking first impression, while intuitive product configuration flows help customers tailor their purchases to their needs and preferences. Whether you sell stationery, artwork, or food products, Bespoke provides a smooth and satisfying experience for your customers.